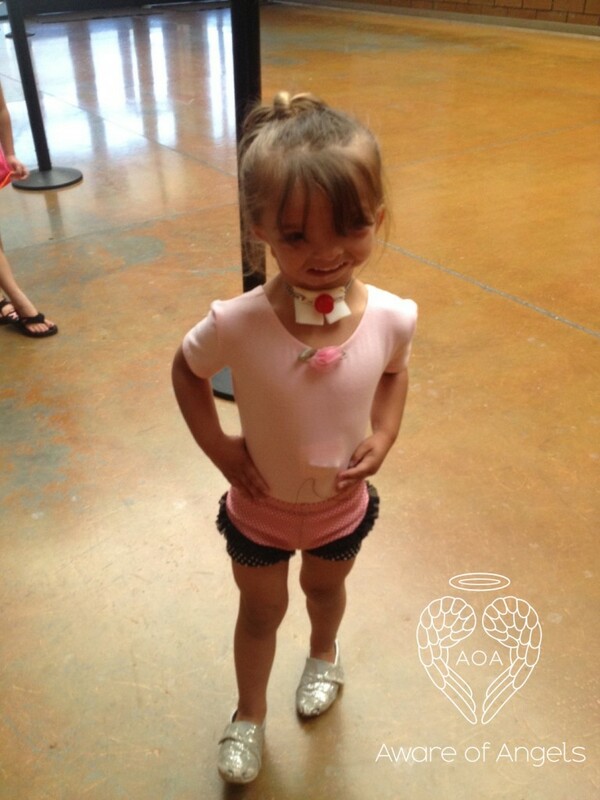 Cheyenne is a spunky little girl who was diagnosed with Golden Har at birth. At our 20 week ultrasound the doctor noticed that her chin was small, and we were referred to doctor who specializes in genetics. After several ultrasounds, the doctor noticed that she was not swallowing, which was determined by the lack of amniotic fluid in her belly and the excess amniotic fluid around her. He also noticed some skin tags in front of her ear. These three things, the small chin, skin tags, and amniotic fluid, helped him determine she most likely had Treacher Collins or Golden Har. Both of these are similar in the sense that they both affect the facial structure, among other things. Unlike Treacher Collins, Golden Har has no known cause and it has been proven not to be genetic. Golden Har also only affects one side of the face. Children with Golden Har are of normal intelligence and have a normal life span. In Cheyenne’s case, the right side of her jaw was not formed properly. In fact, she was born without the Ramus, which is the ‘hinge’ that connects the lower jaw to the upper jaw. Because her lower jaw bone is underdeveloped on the right hand side, her tongue (which is also underdeveloped) gets pushed into her airway, making it hard for her to breathe and eat properly. Her right ear is also affected. Although, the whole ear mechanism is intact and functional and her ear lobe is present, the opening is absent. She also has a slow heart rate which we are keeping a close eye on. In addition to these, she has some other features that are common in Golden Har such as: a notch on her eye lid, tiny little pits by her mouth and ear, skin tags (already removed), fused ribs and a wide nose bridge. Because of these abnormalities, Cheyenne’s breathing, eating and hearing are affected. Her wide nose bridge could eventually affect her eye sight. 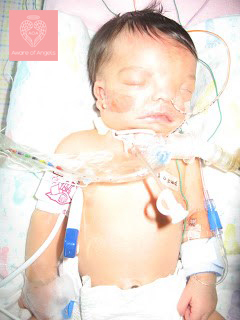 By one month old, she had a tracheotomy (for breathing), and a Gastrostomy-tube or G-tube (for eating). The tracheotomy is placed right below the vocal chords, making it hard for her to speak. This was hard when she was a baby because we could not hear her cry. It was so disheartening to see her “scream” at the top of her lungs, but not hear it. At night she has to sleep with and oxymeter, which is designed to measure the oxygen levels and heart rate. Because our heart rate naturally goes up when we are awake or cry, we were able to use the oxymeter to help us know when she was awake or crying at night. Although she does not require oxygen treatments, she does wear a humidifier over her trach to prevent secretions to clog the trach and block her airway. As she got older she has upgraded to use a speech valve which prevents air from going out of the trach and allows it to be pushed out of her vocal chords. Now, she has also mastered the cap and has figured out how to breathe through her mouth. She still struggles at night to do this so she still requires the trach. 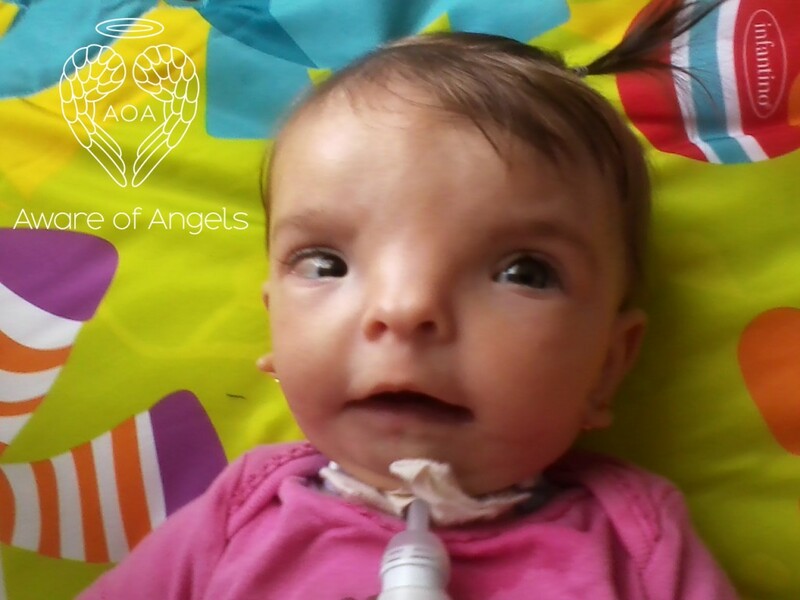 Because the trach is a direct passage to her lungs, she is more susceptible to serious air-borne illnesses. She had RSV when she was 1 year old and was hospitalized for 10 days. She has had Pneumonia, Bronchitis, and the Flu, just to name a few. Her sense of taste and smell are also affected by the trach. This made it hard for her to eat. In order to entice her to eat orally we had to add extra seasonings. Now that she has her cap she is beginning to taste and enjoy more foods. Because of the great doctors and with the help of technology, we were able to prepare for her arrival. 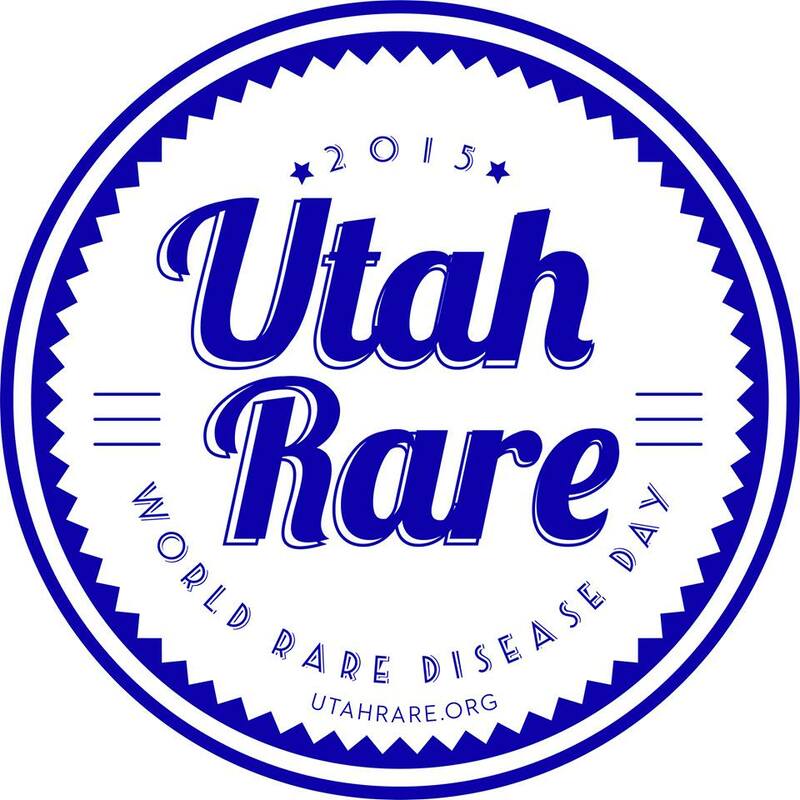 When she was born she was immediately intubated and transferred to Primary Children’s Hospital, in Salt Lake City. 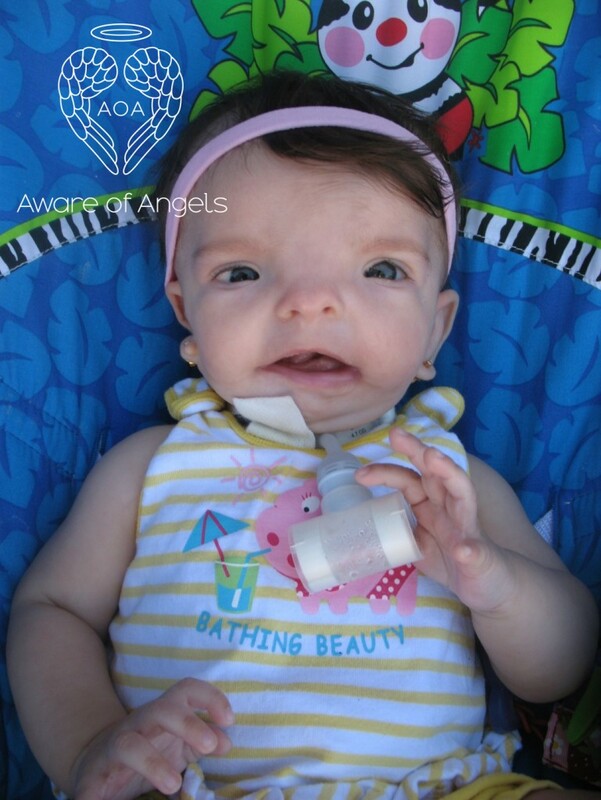 Because of the anatomy of her mouth, she was never able to nurse and she was given a G-tube at about 3 weeks old. Cheyenne has such determination in everything she does and she has overcome a great deal in the last 4 years. She is now G-tube free and can eat normally. We still have to make adjustments, such as cutting things smaller, finding things that are softer that don’t require much biting or chewing and supplementing high calories foods and milk. The plan is that when her bones mature, doctors will be able to reconstruct her jaw bone which will allow the trach to be removed. They will also be able to open up her ear canal. All of this is on hold until her bones further mature. Meanwhile, we continually try to bring awareness to people around us. The first thing people notice is her looks, and while most people are very kind, we hear whispers, pointing and even some mean comments are made. More often than not, we hear people call her scary, a monster or weird. It breaks our hearts to hear this. Most of the time, these comments are made by children, which is understandable. The frustration comes when parents don’t take advantage of the teaching opportunity and ignore the problem. This is why we refuse to give up and we continue to take her to public places, in hope that we can make some changes, educate the people that are around her, so that they can see past her face. 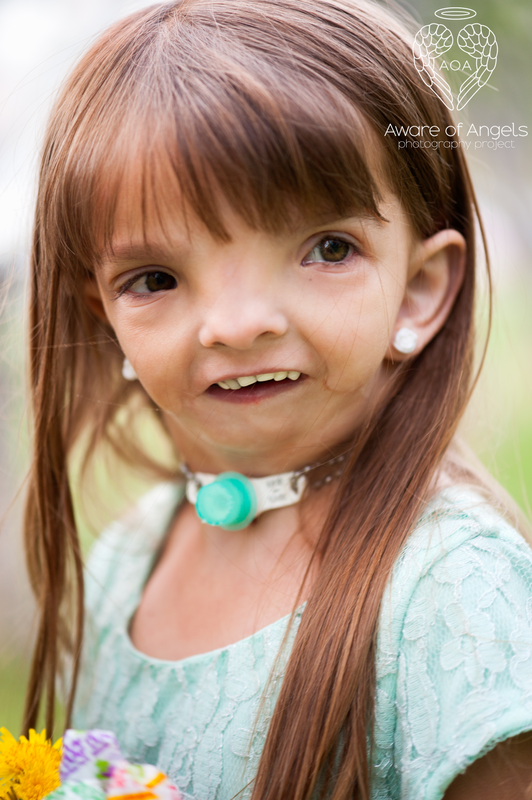 As the Children’s Craniofacial Association’s motto says “Beyond the face is a heart.” Before Cheyenne starts realizing that she looks “different” we hope that she grows up to be confident inside and out, and not let her syndrome define her. That people will know her as the bright, spunky, funny and beautiful girl we know. Her middle name is “Chispita” which in Spanish means “little spark” and this defines her perfectly. She is fearless and always running and climbing! She also loves to color and laugh. She is the love of our lives, and we are so grateful she is part of our family!